In this review, we look at one of the more popular models in the series of video cards NVIDIA And specifically the most accessible,RTX 2070. 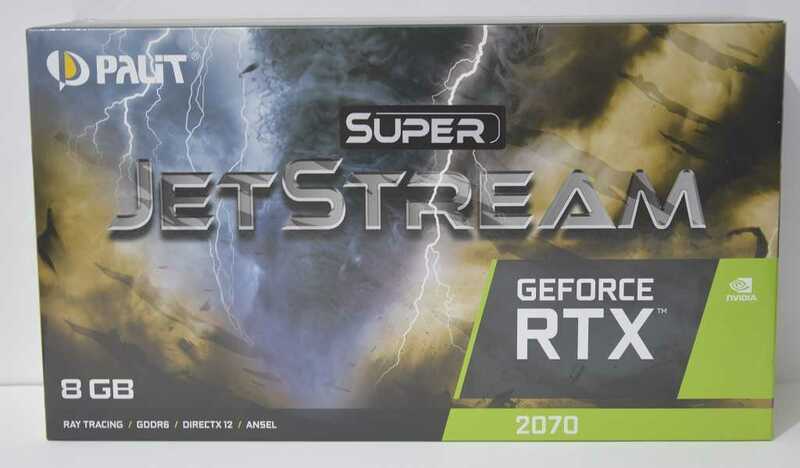 This video card was launched with a price tag of $ 499 and contrary to what can be assumed from its name, it comes to replace the GTX 1080 as a purchase option for consumers who want a fresh and fast card especially for games and other applications. 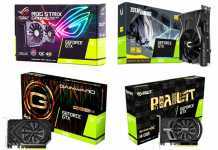 The best and best GTX 1070 remains at a price tag of 350 USD today, far from the risk zone for its existence. At the time of writing, the GeForce RTX 2070 is the smallest brother of the RTX family NVIDIA, And was announced only this summer. The Super JetStream version of the review is simply a slightly slower version than the usual one, so the printed board and the cooling system are exactly the same. At the engineering and cooling level, this version is considered to be the most exotic,RTX 2070. 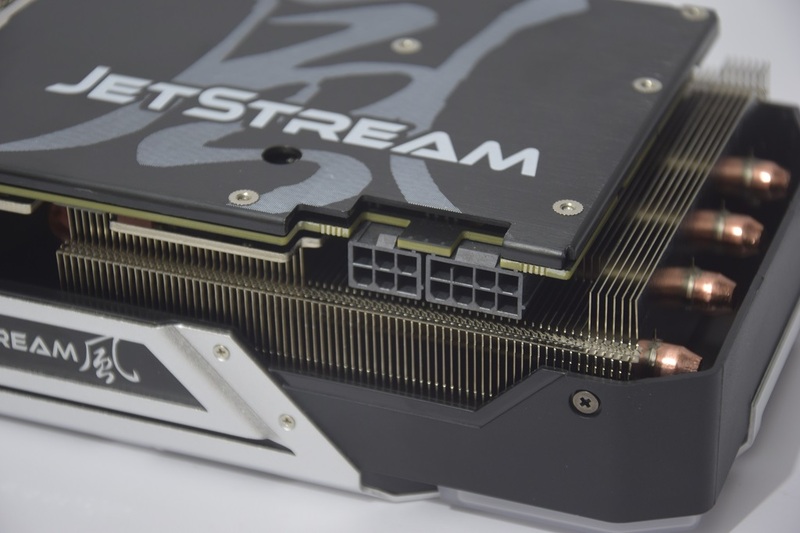 The Super JetStream video card is large, very large. The length of the card is 29.2 centimeters. 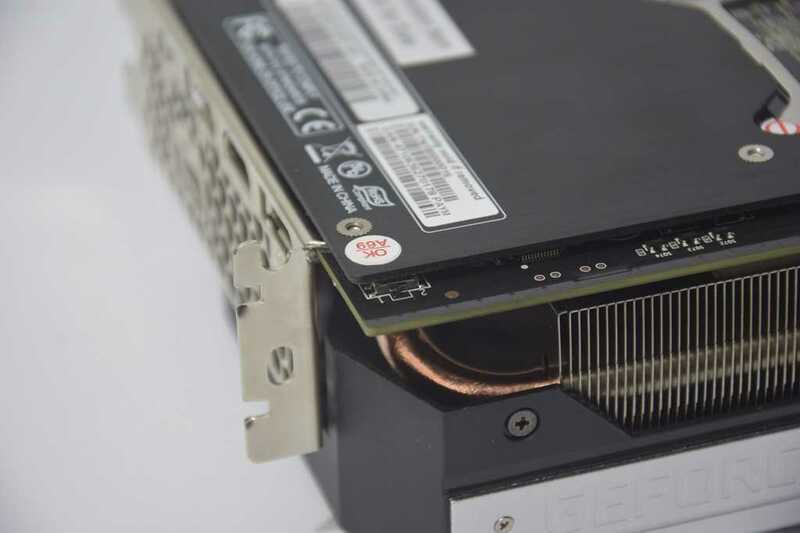 This video card uses two fairly serious fans with a diameter of 92 millimeters. the design? Fantastic and fairly neutral with very generous use of aluminum engraved. On the back of the card is a fairly thick posterior poster and JetStream logo. The graphics core area is exposed at the back of the card and I do not see it as a disadvantage. 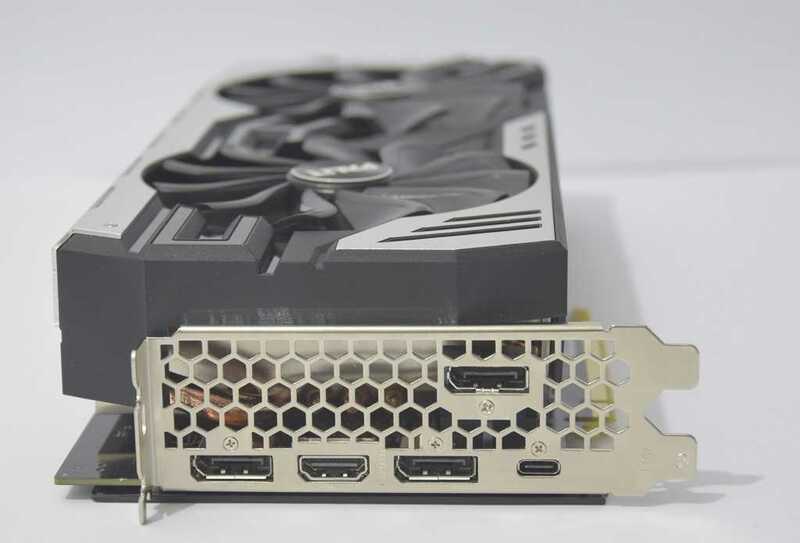 In addition to its unconventional height and length, this video card is also quite thick and will take up slots in its packaging. 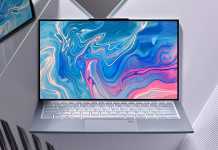 In this version, a tremendous emphasis is placed on Cooling And overclocking, and you see it well. The side of the card is also pleasant looking and has a neutral and beloved theme of silver and black mainly with a logo. The Super JetStream requires 8PIN and 6PIN power connections to operate. 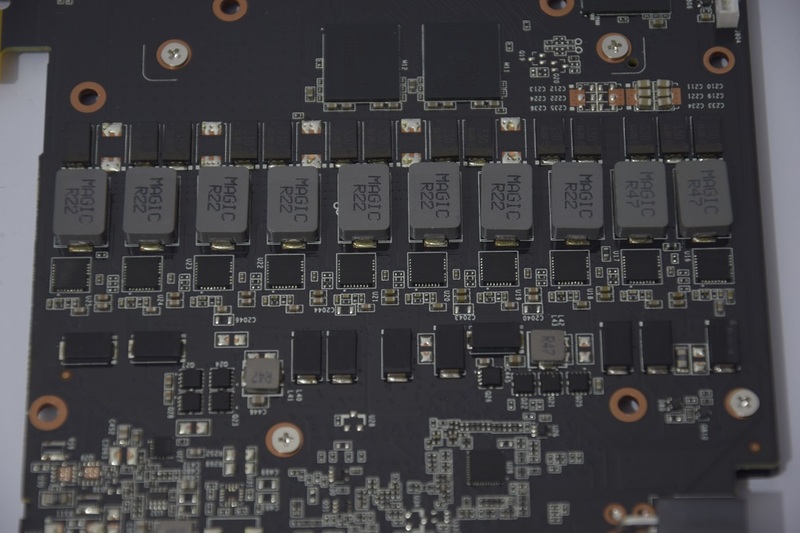 Although technically no need for the additional 6PIN, the consideration may be primarily from cost savings and cost-accounting Overclocking extreme. "Cost savings? What are you talking about?" I'll explain later. Card display ports include a fairly standard array with 3 type DisplayPort 1.4, 2.0b HDMI output and port USB Type-C to connect to binoculars Virtual Reality With the VirtualLink protocol. This little switch at the top of the card is the ticket for any video card that wants to call itself exotic. Super JetStream has a dual BIOS switch and contains two bios chips for the graphics core and two different profiles with which to play, burn and change values. By default, the only difference between the two different BIOS buffers is that one comes with a minimum fan profile of 20% and the other includes the fan shutting feature completely at rest, which has become standard in recent years. This is how the PCB or printed circuit board of the RTX 2070 Super JetStream appears. The TU106 graphics core is the largest that has been created in recent years for the target market segment and is 445 square millimeter. For comparison, the GTX1080 core area is only 314 millimeters square. 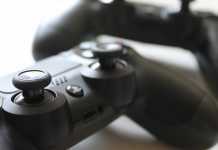 The magnification is mainly due to the controllers and additional processors in the Turing architecture of NVIDIA Such as the RayTracing processors and the Tensor core for Deep Learning. 8 chipset זיכרון Which are connected to the memory controllers in the heart and each has a volume of 1GB. The power supply to the graphics core is among the most advanced I have ever seen for a card set under 200W (perhaps 170A), perhaps ever. This system is based on 10 Stabilization phases and an impressive total volume of 600A. It's a great overkill, and it turns out that this printed circuit board also serves Palit's creation graphic cards sample RTX 2080 advanced and expensive significantly. 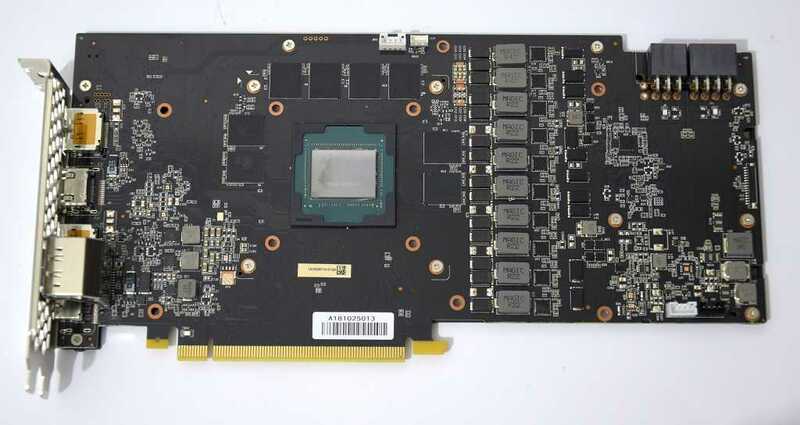 Palit could build this graphics card with 7 or 8 steps but chose 10 simply so that the RTX 2070 would get everything that RTX 2080 gets when it comes to PCB components, and probably Cooling. Remember that I mentioned that installing an additional electrical connection probably constitutes a small saving in costs? This is the main reason. A production line in which most of the components are manufactured for two graphic cards Different is a production line that saves time and logistics. We have only to be ill in such a situation. This is the cooling system that is concerned with cooling the core, the voltage stabilizers and the memory chips on the card. 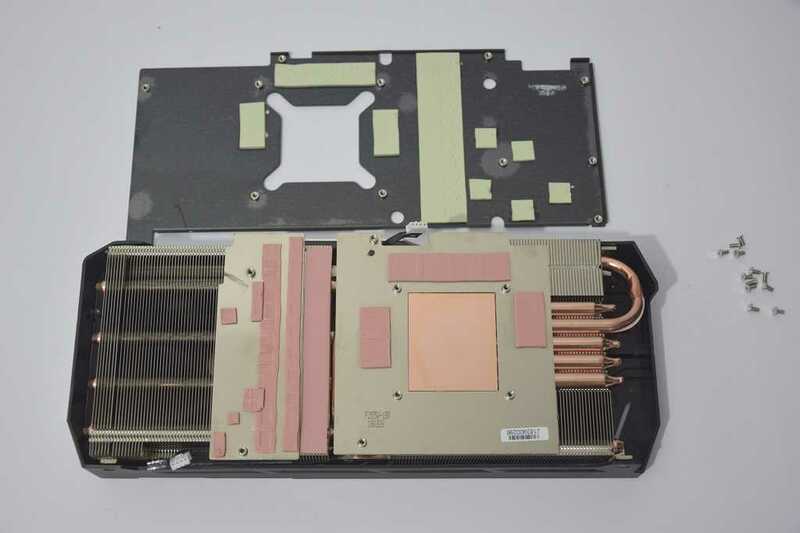 In the picture is the back plate of the graphics card along with thermal pads that come into contact with the back of the memory chips and the voltage stabilizers. The graphics core comes in contact with a large copper surface from which 5 copper tubes are quite thick with a diameter of 8 millimeters. 4 of those five go a long way and wear many aluminum fans. 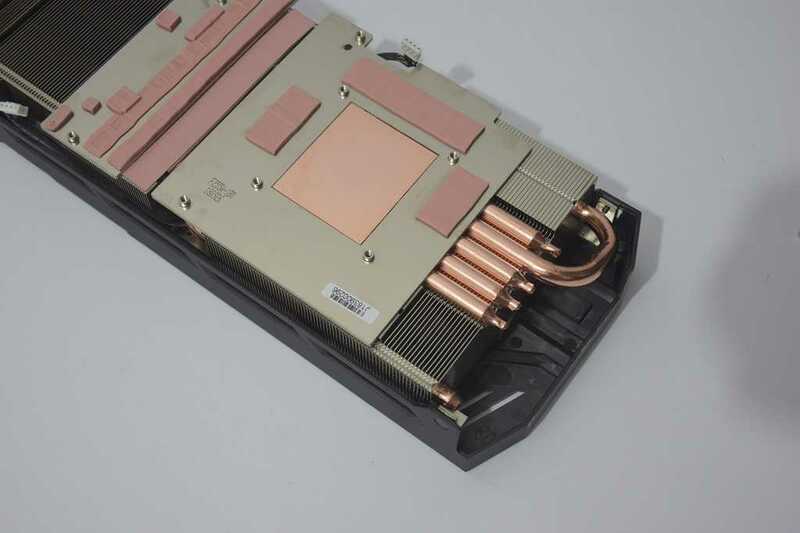 Like the printed board, the RTX 2070 Super JetStream cooling system is also very advanced considering the somewhat conservative heat envelope. Here, too, I use Palit to use the same cooling system exactly on certain RTX 2080 models - Do you seem familiar?. This video card earns from the system Cooling Over-Hudhanset. I like over-engineered. On the back of the video card after removing the braces, you can find the two bios chips you can replace (prominent left), as well as real-time voltage readings with a multimeter (bottom of the image). This is an interesting feature that for some reason Palit I do not like to mention the journalistic material. I think you should praise a friendly design for overclocking. It's time to transfer the video card in our testing system and see how it functions in different games, and how good its cooling system is.